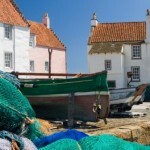 The East Neuk of Fife has an abundance of fantastic places to eat and drink if you are a lover of fine food and drink. Book yourself one of the many fife holiday cottages scattered along the coast and start exploring. Nick Nairn, one of British top Michelin starred chef, rates the East Neuk of Fife as one of the best gastro getaways for sampling local produce and browsing farmers’ markets. 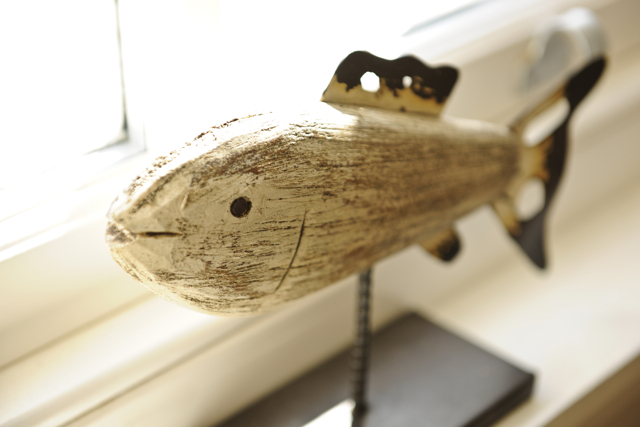 A big fan of luxury self catering Fife, Elie and the East Neuk are a long time favourite. East Neuk Seafood Celebration – The annual East Neuk Fish Festival. Flavour of Scotland – Information to give you a flavour of Scotland! The Peat Inn, Cellardyke – an iconic restaurant, started by the godfather of Scottish cooking. Anstruther Fish Bar – the finest fish and chips in the UK (that’s official). The Ship Inn at Elie – the perfect pub. Where Heston Blumenthal came to sample the perfect seafood pie for his “In Search of Perfection” BBC series. Fine pub grub also includes steak and Guinness pie, and avocado and crayfish sandwiches. There are Sunday barbecues and cricket matches on the beach through the summer. Self catering elie accommodation upstairs. The Seafood Restaurant on the beachfront in St Monans serves local oysters, monkfish, halibut, duck comfit, and a summertime glass of Chablis with crab salad on the sunny patio. Nick Nairn’s all-time top place to eat in Fife “The building feels hollowed into the cliffs — it’s so redolent of smugglers and moonlight trysts. I’ve loads of good memories of feasting on oysters there, then strolling outdoors with a glass of grog to gaze over the ocean and listen for the sound of muffled oars.” (01333 730327). Stay in any of the fife self catering options nearby. The Peat Inn, Cellardyke – an iconic restaurant started by David Wilson, the godfather of Scottish cooking. Geoffrey Smeddle has it now and is doing some seriously good things with Fife-grown lamb and beef. It’s an old, whitewashed pub on a hilltop, with smoking fires and low ceilings, and the suites have just been revamped — very smart. Stay there or in a nearby fife holiday cottage. Fresh Fish – The market at Pittenweem is worth a peek, but for buying fish you won’t beat G&J Wilson, in St Monans — it sells straight from its packing shed. There’s a little smokery round the back, doing hot-smoked salmon and haddock. The Anstruther Fish Bar – the finest fish and chips in the UK (that’s official). On Shore Street in Anstruther. The UK winner of the Seafish fish and chip shop of the year award 2008-9. Stay in fife self catering accommodation and dine in style. Scotland’s youngest Michelin-star winner in 1991, Nick Nairn rates the East Neuk as one of the best gastro getaways in Britain. The East Neuk is a long time favourite, especially Elie, “a little piece of heaven, impeccably upmarket, with a gorgeous beach and an epic pub, the Ship. I always have the fish and chips there — the best in Scotland. Get a table upstairs, for the beach view”. It’s the essence of summer: a good pint in the sun overlooking the sea in the gardens of a smashing little pub. The Ship Inn is perched above the sea walls at Elie with views south across the Firth of Forth towards the Bass Rock and east across a crescent of butterscotch Blue Flag sand. Stay in one of the many great fife holiday cottages and hit the cricket at low tide every second Sunday in summer. The Pimmsy buzz is fabulous fun. Throw in the best fish in the UK at Anstruther and you’ll never want a pint anywhere else again. The East Neuk of Fife is ideal for luxury self catering in Scotland and has an abundance of fantastic places to eat and drink if you are a lover of fine food and drink. There are at least 5 award winning restaurants within a 15 minute drive or walk from Elie Cottage which is one of East Neuk’s luxury beach cottages. There is the Michelin starred Sangsters in the village, the fantastic Seafood Restaurant 3 miles away in St Monans, the world famous Peat Inn over the hill in Cellardyke, the romantic Cabin in Anstruther and the spectacular Seafood Restaurant’s sister location overlooking the beach in St Andrews. If you are into art holidays whilst staying in cottages in Fife, then trips to any of these takes you along the beautiful East Neuk coastline, or if it is walking holidays then the fabulous Seafood Restaurant in St Monans is a short amble along the Fife Coastal Path renown for luxury cottages by the sea in the UK. Nick Nairn, one of British top Michelin starred chef, rates the East Neuk of Fife as one of the best gastro getaways for sampling local produce and browsing farmers’ markets. A big fan of luxury self catering Fife, Elie and the East Neuk are a long time favourite of many a lover of fine food and wine. Crail Food Festival – The annual Crail Food Fest kicking off with a supper concert and 2 days of cookery demonstrations, music, food tasting, sampling and more…. The Times – Elie one of the six best foodie breaks in the UK. Stay in fife self catering accommodation and dine in style. Scotland’s youngest Michelin-star winner in 1991, Nick Nairn rates the East Neuk as one of the best gastro getaways in Britain. The East Neuk is a long time favourite, especially Elie, “a little piece of heaven, impeccably upmarket, with a gorgeous beach and an epic pub, the Ship. I always have the fish and chips there — the best in Scotland. Get a table upstairs, for the beach view”. When staying at one of the holiday cottages in Fife, try The Ship Inn in Elie, one of Britain and Ireland’s best pub gardens. It’s the essence of summer: a good pint in the sun overlooking the sea in the gardens of a smashing little pub. The Ship Inn is perched above the sea walls at Elie with views south across the Firth of Forth towards the Bass Rock and east across a crescent of butterscotch Blue Flag sand. Stay in one of the many great fife holiday cottages and hit the cricket at low tide every second Sunday in summer. The Pimmsy buzz is fabulous fun. Throw in the best fish in the UK at Anstruther and you’ll never want a pint anywhere else again.